Thermal Monocular Camera Technology: How Does it Work? One of the most important things you need to know about thermal monocular camera is that they don’t work like you might expect a normal camera to. When we press a button to capture an image on a normal camera, that system sees the world before the lens as visible light and captures exactly what it sees, storing the image on the camera for further usage. A thermal monocular camera does this too, but the way it differs from a normal camera is that it does not see the world as visible light, but instead uses IR (infrared) light to construct a detailed thermal image. But what is IR light? You might be amazed to know IR is actually around us constantly every single hour of every single day. It is produced by everything from common appliances to our own bodies and exists constantly as part of our ecosystem. Chances are you’ve never seen it before – IR is completely invisible to the human eyes as our ocular systems simply aren’t designed to detect it – but take it from us when we say that it is very much around you constantly. IR is basically the emissivity of an object. Emissivity refers at its most basic level to a degree of heat output by an object and it is this heat distribution that a thermal monocular camera is able to pick up on and display as a thermal image. 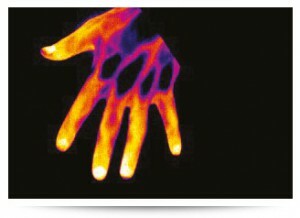 In medical applications, the heat of the individual may change dramatically depending on the nature of the ailment affecting the body. Bruising, abrasions, inflammations, viruses and much more can cause rises or drops in body temperature in certain areas and by interpreting this distribution a medical professional can diagnose a problem in a specific area and take action to cure the patient. We have a wide array of thermal weapon sights suitable for any mission. Whether you are hunting for wild hogs or working for the military or other gov’t entity, we’ve got thermal weapon sights that can fit the bill for your operation. Our thermal weapon sights are built water & shock resistant and work any time of day or night to illuminate targets or threats in total darkness, low light, behind foliage or in foggy conditions. 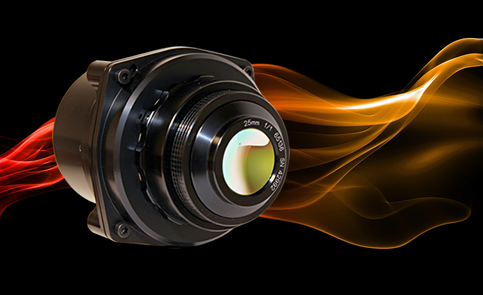 The range of long-wave thermal imaging cores for a wide variety of applications and are available with a choice of array sizes, pixel pitch and lens options. They can be delivered as self-contained camera units or as OEM cores for integration into end-user products. Our OEM thermal imaging modules include the MIRICLE range, ultra low-power MicroCAM 2 and MicroCAM 3 cores with patented shutterless XTi Technology, MicroCAM irGO thermal imaging cameras and MicroCAM HD high definition thermal imaging cameras.